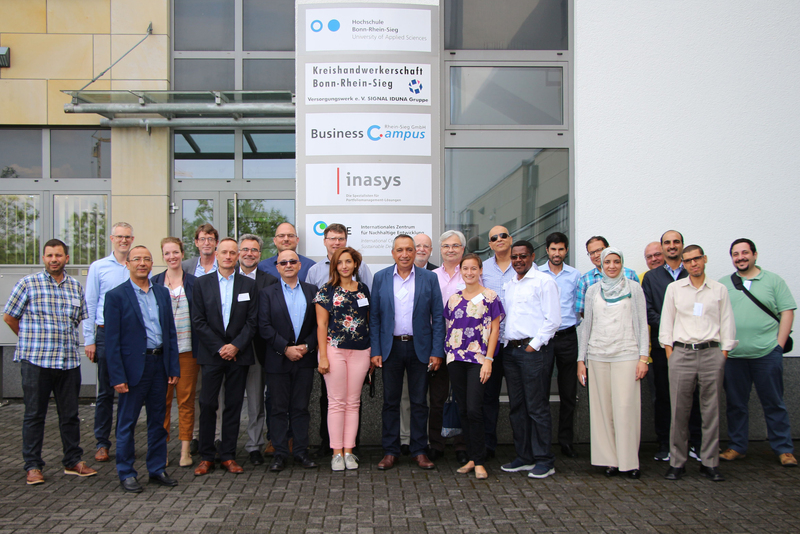 Bonn-Rhein-Sieg University has been engaging in the development of Free and Open Source Software resources in arabic countries such as Morocco, Lebanon and Jordan since 2014. For a whole week several partner organisations from our arabic partner projects OSSCOM and OPEN have visited the Department of Computer Science in Sankt Augustin. On August 15th, Prof. Dr. Rainer Herpers and our team international Nadine Kutz and Jana Schiewe welcomed more than 25 members of our international projects OPEN and OSSCOM. Our partners from Jordan, Lebanon and Morocco spent the whole week at the Sankt Augustin Campus. On day 1 the whole group took part in various workshops on open source related issues such as the Go programming language. The second day was spent at the university's business campus, where students and recent graduates get the opportunity to found their own company and receive competent help as well as office space at reasonable rates. Our visitors found the concept very inspiring and are working on similar settings for their respective institutions. Days 3 and 4 were busy with separate consortium meetings and project-related paperwork. As a special highlight, the group took part in the 12. 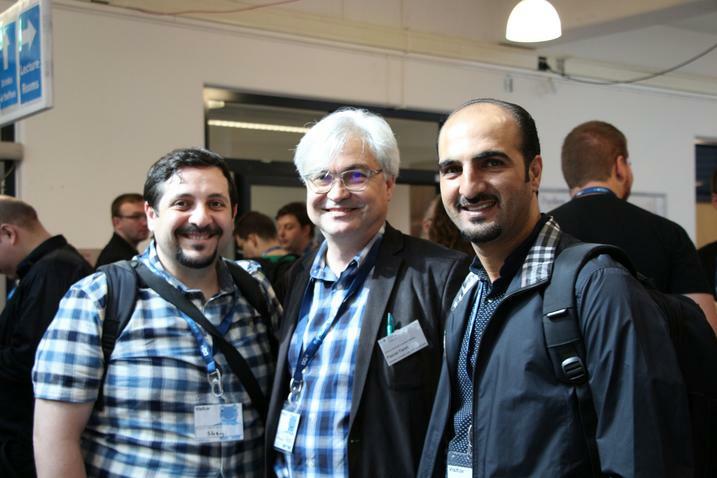 Free and Open Source Software Conference FroSCon which was held at the Sankt Augustin Campus on saturday and sunday. Click here for conference picture gallery. Both projects will finish at the end of 2017. However, the OPEN group is already preparing an application for additional funding. The OSSCOM project is co-funded by the tempus programme of the European Union. Its aim is to form partnerships with enterprises in arab countries towards building open source software communities and foster the rejuvenation of technical education and innovation. The DAAD-funded OPEN project is a cooperation of Hochschule Bonn-Rhein-Sieg (H-BRS) with Mohammed V University of Rabat (UMV), National School of Applied Sciences of Cadi Ayyad University in Marrakesh (ENSA), Arab States Research and Education Network GmbH in Düsseldorf (ASREN) and the National Centre of Scientific Research in Rabat (CNRST). The OPEN project is intended as a contribution to provide stronger and faster methods for responding to the regional and local challenges in digitalization. By using Open Source Software (OSS) new opportunity platforms in Morocco will be introduced as well as the effectiveness of transformative higher education optimized. Especially graduates will be equipped with technical and entrepreneurial skills to improve their knowledge of OSS.